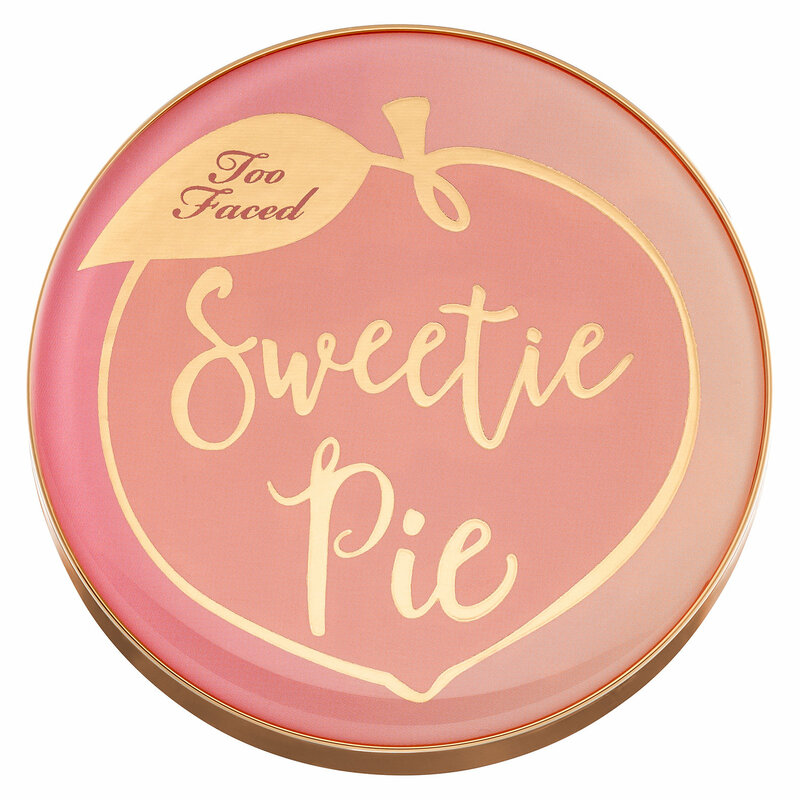 Too Faced are masters at teasing us with new releases and although the new permanent Peaches & Cream collection doesn't officially launch at Sephora until August 31, they plan to release one product at a time on Sephora.com starting today. 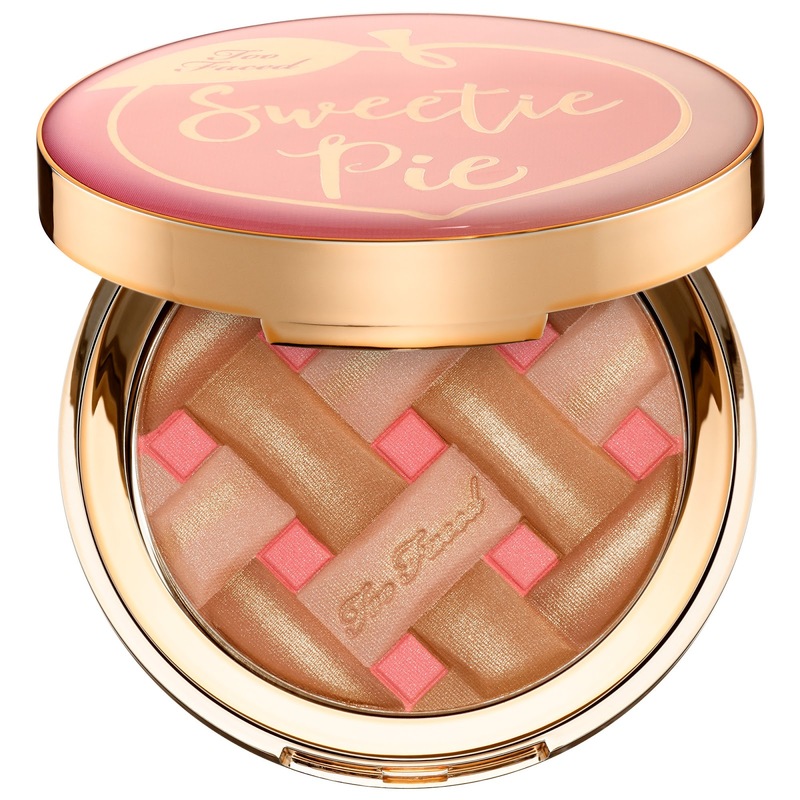 The first product to launch is the new Sweetie Pie Radiant Matte Bronzer ($30). The name might sound like an oxymoron but I think what they're trying to convey is that it isn't too shimmery and it's not a glitter bomb...it's supposed to give a very soft, natural radiance to your skin. I can't tell if the gold shimmer is an overspray but that's also a possibility. Maybe the powder is matte underneath? 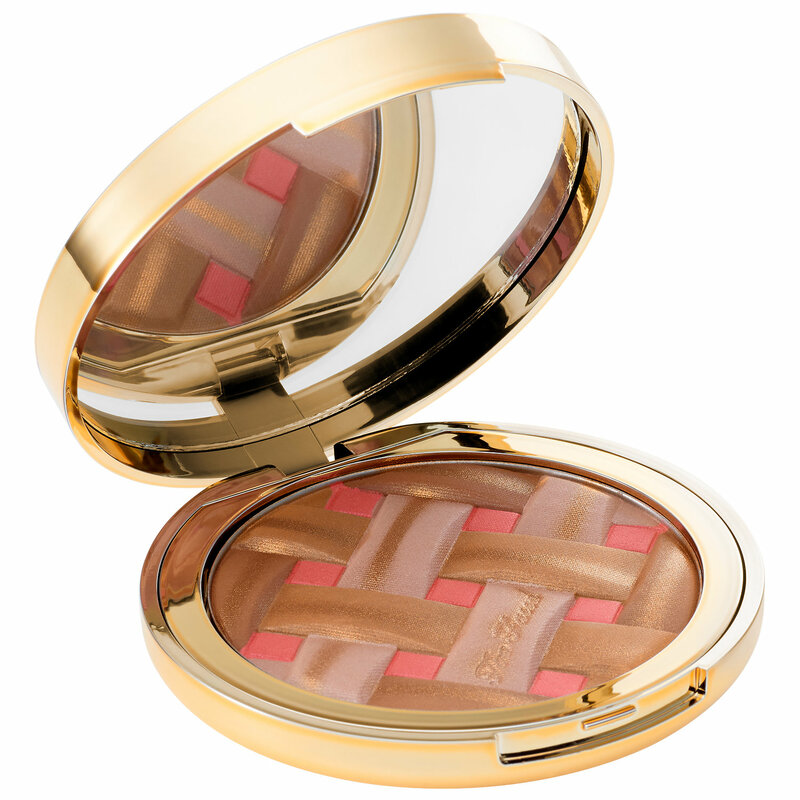 I love that they included the pink shade because it makes bronzers look so much more true-to-life if they have a rosy tone in them. When you go out in the sun and get a real tan, especially if you overdo it a little bit, your skin gets that pink flush to it. I have already placed my order, and it should arrive tomorrow (fingers crossed Rouge shipping comes through for me!) so all of my questions will be answered as far as the finish goes. What about you...are you picking this one up? Which product do you hope they release next? I'm hoping for the Matte Eyeshadow Palette! I feel the same way! If I don't like it, I'll bring it back but the packaging and concept is too cute! I just had to try it! And thank you so much for reading every day...that means so much to me!